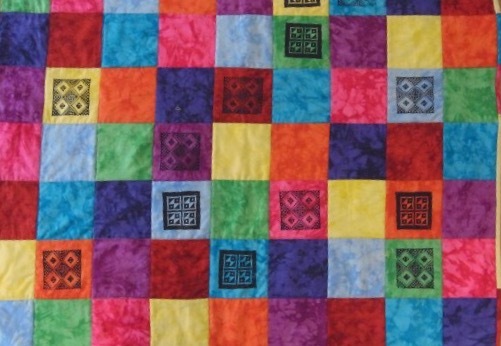 You are invited to our Open Weekend and Sewers’ Social! If you are a regular at my workshops and courses, Saturday morning on the 28th is your Sewers’ Social. It will be lovely of you are free to come along to the studio, meet and chat with your sewing friends and make some new ones. I am hoping the weather is kind and we can go down to the sculpture garden for you to parade in your finery! I have arranged for a make-up artist and hairdresser to make it even more stylish and so much fun. An RSVP by 15th May would be helpful – thank you. There will also be refreshments and cake! Hope you can make it. 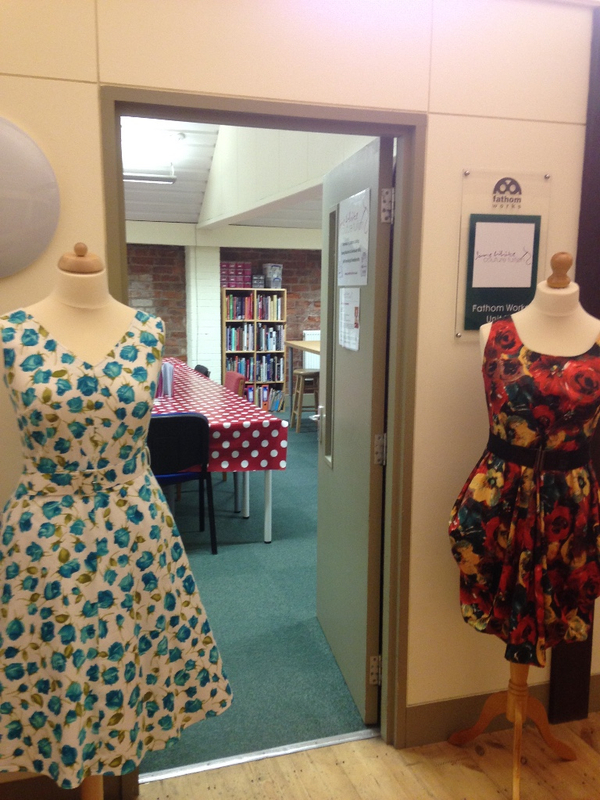 If you haven’t had chance to come along to my courses or the friendly Sewing Bee workshops, you are most welcome to pay us a visit anytime over the two days at our new studio space, have a chat about the courses and workshops I offer, see some amazing work from our dressmakers, meet my team of guest tutors. Hopefully I can help you on your sewing journey whether that’s as a new sewer or if you would like to explore your skills further. I will also have pre-launch details of my new Jane White Couture Club …… intrigued? It’s time settle down in front of your TV’s for the new series of The Great British Sewing Bee which starts on 9 May. 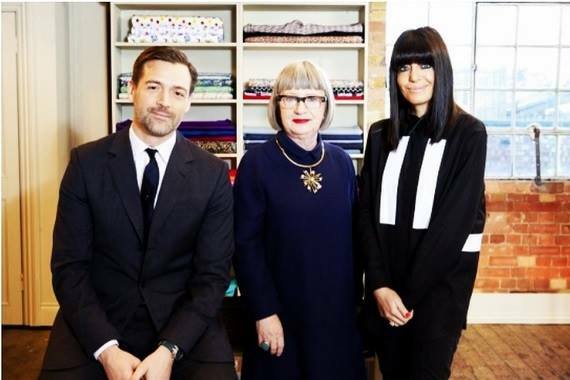 I am looking forward to another round of sewing challenges and watching new judge Esme Young in action. The Sewing Directory have a interview with Esme at www.thesewingdirectory.co.uk if you would like to know a bit more about her and her sewing credentials. Pearl Wedding Anniversary and my …. birthday and the second for my annual weekend away with the girls. Having spotted this exhibition was opening the same weekend, I thought it would be a shame not to go and have a look. The Palace itself is well worth a visit if you are up that way as is the exhibition, which is also on at Buckingham Palace and Windsor Castle. about how I got to run a dressmaking teaching business on her blog www.swedishtracingpaper.co.ukafter I ordered a copy of her fabulous new book, the Maker’s Workbook. Packed with lots of pages to plan and record your sewing projects, it would make a great present for a sewing friend (or yourself). Have a look at www.swedishtracingpaper.co.ukto order. fabulous student and putting in the hours. Level 1 Awards go to Mum and daughter combo Rosina and Rachel. Again, you both completed work above and beyond the basic model requirements quite rightly gaining distinction grades each with a skirt from Rachel and a tunic top from Rosina. Fortunately there wasn’t any rivalry, just sewing enthusiasm and fun. Thank you for reading our sewing newsletters and if you would like any more information or a chat about how I can help you on your sewing journey please do not hesitate to get in touch.